For the very beginner. Stage 1 children are usually unconfident beginners who may be reluctant to put their face in the water. 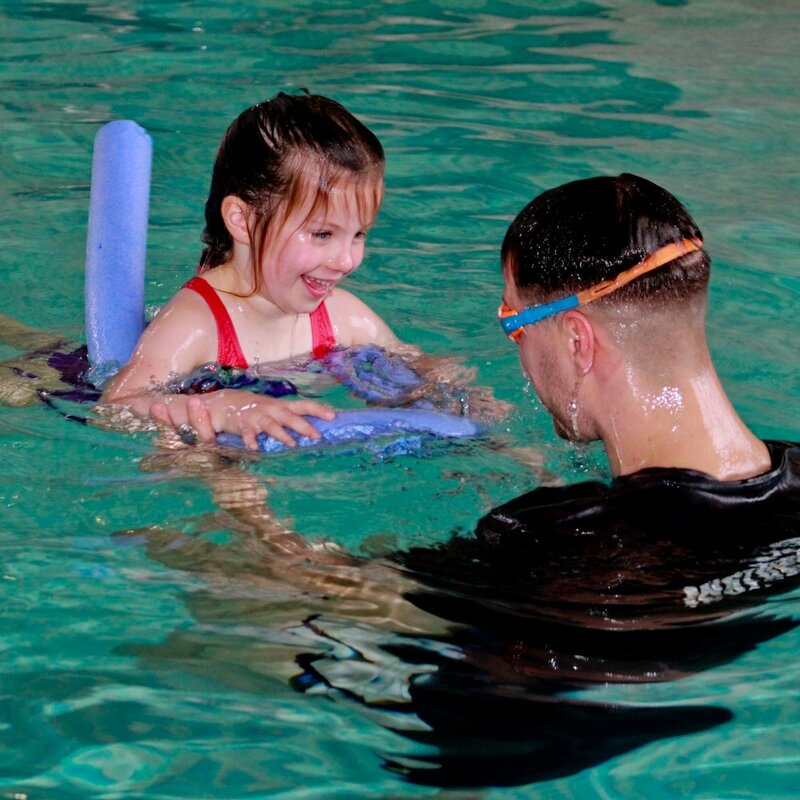 Swimmers will learn confidence skills with the aim of progressing to unaided swimming over short distances as well as assisted floating on the front and back. For the confident beginner. Children in this stage learn the 'pop up breath' to enable them to swim further distance independalty on their front - they will also work towards independant floating on their front and back. For the improver swimmer. Children are now able to swim independatly with confidence with the aim of swimming 10m on their front and back by the end of this level. Stage 3 children will focus on streamlining on the front and back as well as big front crawl arms. For the competent swimmer. In this stage children will learn side breathing for front crawl, back stroke skills, as well as the introduction of breaststroke and butterfly leg kick. The Stage 5 swimmer has good front crawl and backstroke and technique work focuses towards making their 'good' stroke better. Breaststroke full stroke and butterfly full stroke are introduced in this stage. The focus for this stage is to further refine and tweak stroke technique for all four strokes. We introduce bi-lateral breathing in front crawl, as well working on stroke timing for all four strokes. Swimmers in Stage 7 will focus on developing perfect stroke technique and to able to hold good form over distances longer distances. Once Stages 1 to 7 are completed, swimmers are introduced to further competitive swimming styles covering Diving, Synchronised swimming and Water polo. We also have links with various swimming clubs to further develop our strongest swimmers within a squad and competitive environment. Each child's individual needs are catered for, constantly updated and awards are undertaken at regular intervals. Progress is updated via the Home Portal on a monthly basis by the teacher. If you wish to discuss your child's progress, please do not hesitate to contact one of us and we will be more than happy to discuss. We also have teachers who specialise in teaching children with additional support needs.